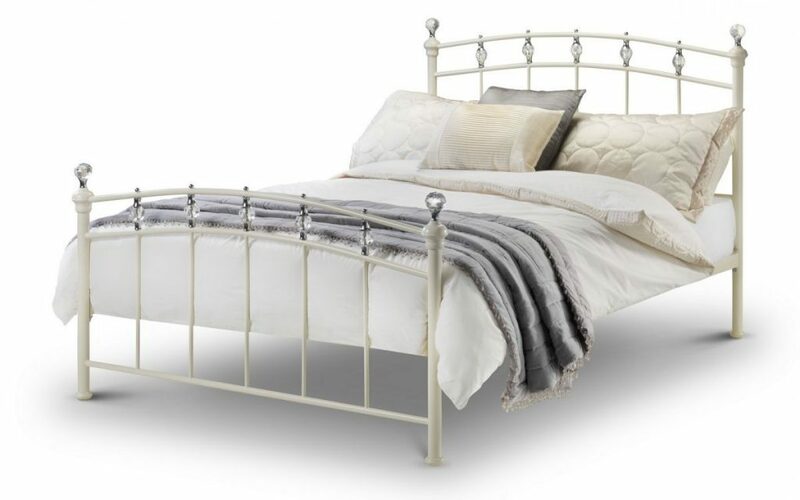 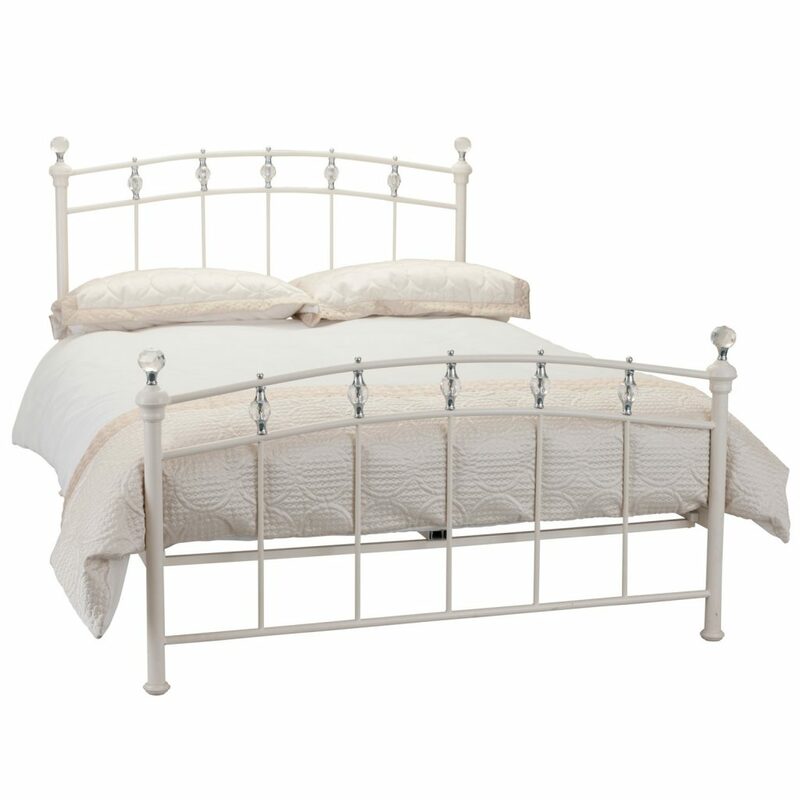 Home Beds & Mattresses Beds LOUISE Stone White & crystal Metal Bed Frame In 5ft Kingsize. 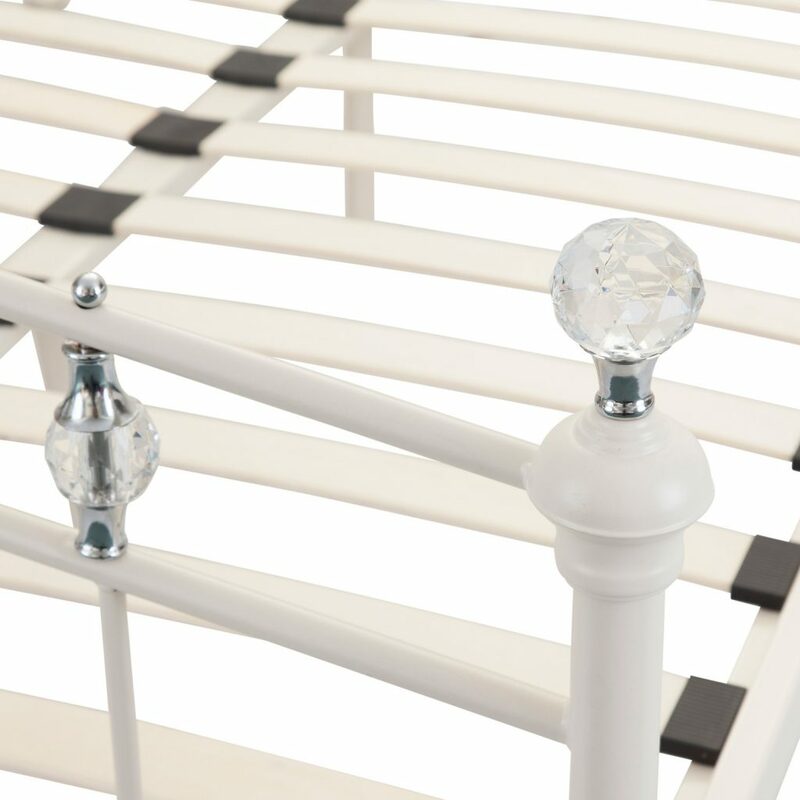 You can drift off to sleep in sleek, stylish surroundings in the LOUISE stone white & crystal high foot end Metal Bed Frame. 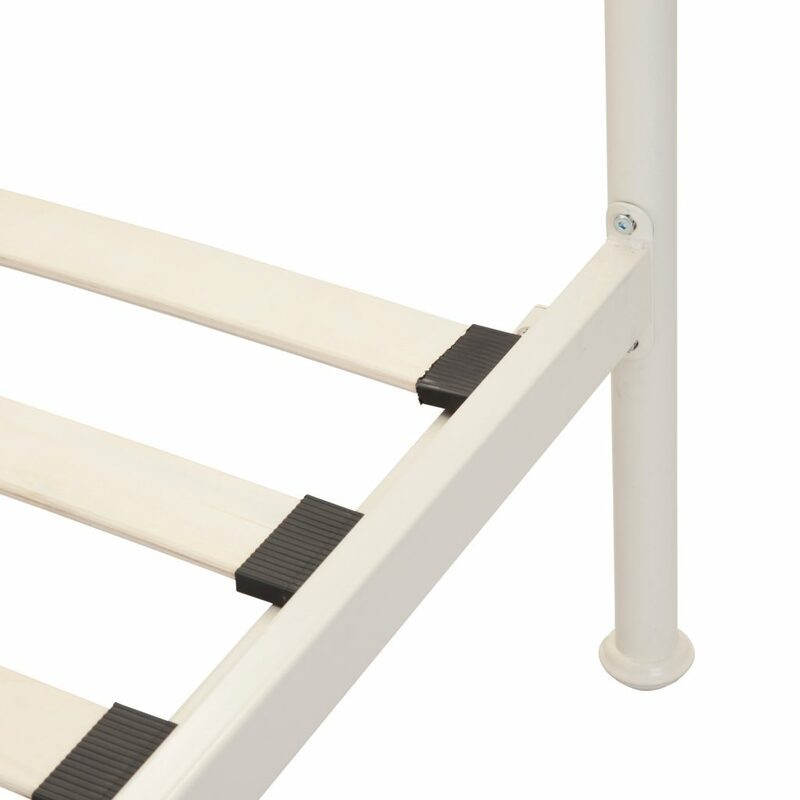 As you dream of desert island beaches, you will enjoy a blissful night’s sleep thanks to the comfortable mattress support offered by its sprung slatted base which gives a softer, more cushioned feel. 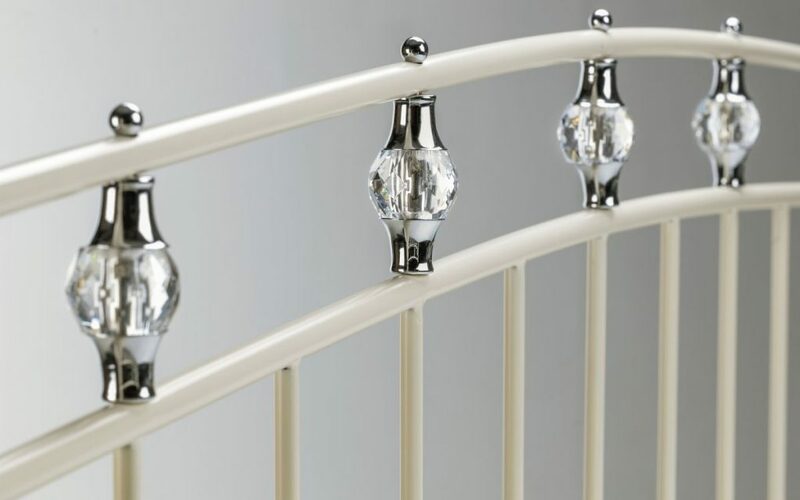 Your bedroom will be given a modern edge due to it’s striking design. 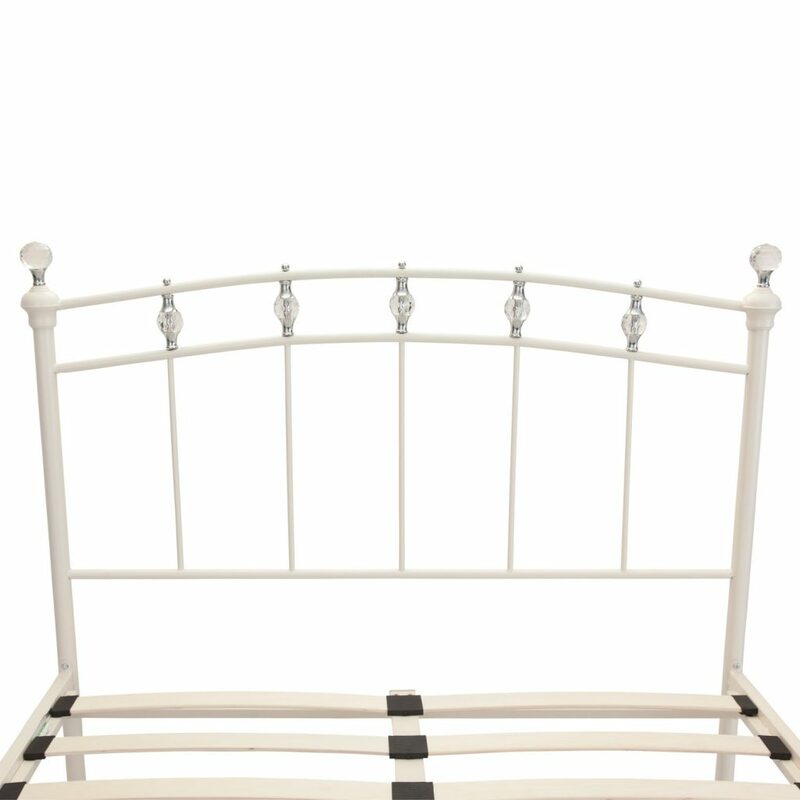 This bedstead’s headboard accentuates rather than overpowers, and the versatile stone white finish featuring Luxurious Crystal Effect Finials and Chrome Detailing which makes this the center piece of any home while giving a cosmopolitan feel to the understated frame. 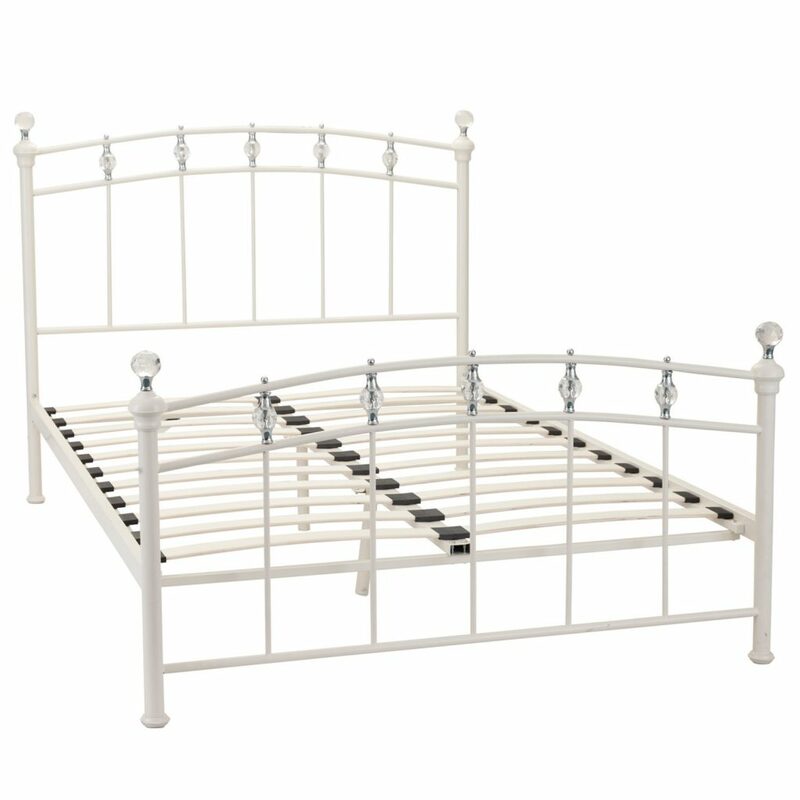 Also available in 3Ft single or 4Ft 6′ Double. 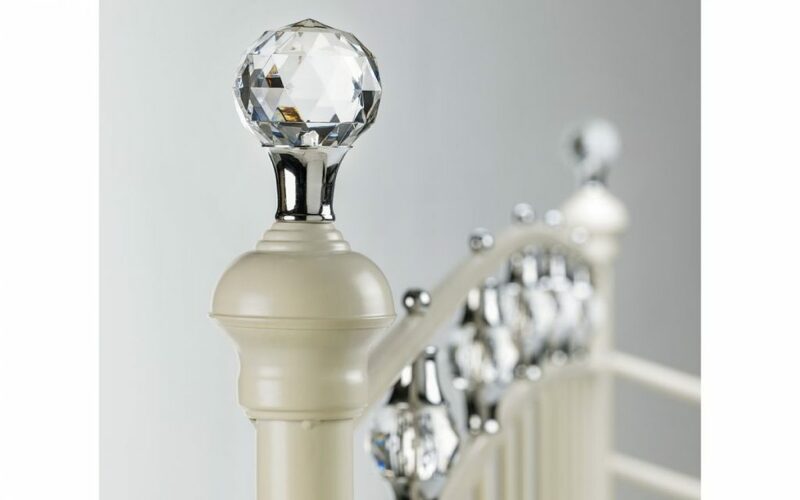 Powder Coated Steel ,Crystal Effect Finials and Chrome Detailing.